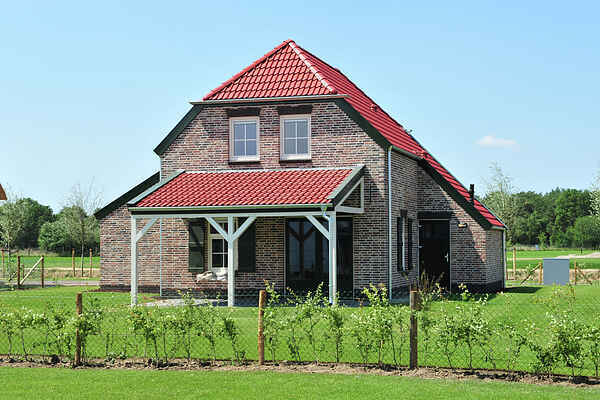 The detached, themed farm villas are spread out over the spacious park. They are all very comfortably furnished and have modern conveniences such as under floor heating, a playstation 3 and wireless internet. They are on large parcels in various sizes from 5 to 13 people. For the larger variants (from 7 persons) one or more of the bedrooms and a bathroom is on the ground floor. Ideal for going on holiday with grandma and grandpa! In the farm villas there is a lovely manicured garden and a (covered) terrace with garden furniture. For further explanation for the various types (18 in total), see the details at the park level. There are child friendly types (including cot, playpen and high chair, washing machine and dryer) and luxury types (with sauna, whirlpool and some with steam shower). In short, a luxury holiday on a park with many facilities, something for everyone!